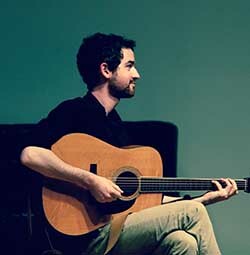 Dan Faiella specializes in fingerstyle arrangements of traditional Celtic tunes and songs. He is also in high demand as an accompanist for traditional Irish, Cape Breton, and New England contradance groups. Dan has performed at the Capitol Center for the Arts, the Boston Celtic Music Festival, and the New Hampshire Statehouse. He has studied with folk musician David Surette and classical and jazz guitarist David Newsam. Dan has also had the opportunity to learn from top-notch Irish and New England folk musicians including flute player Shannon Heaton, guitarist Owen Marshall, and fiddler Lissa Schneckenburger. To hear music from his duo project with his sister Liz Faiella, visit www.lizanddanmusic.com.